Amplitude value of blade can be set by volume of amplitude in the front panel of oscillator. By performing feedback control, the set amplitude of the cutting edge is kept constant irrespective of the change of the mechanical load (cutting resistance). When an external load (cutting resistance) is applied to the cutter, it becomes hard to oscillate. At that time, the oscillator keeps the amplitude of the transducer constant by supplying more power to the transducer. 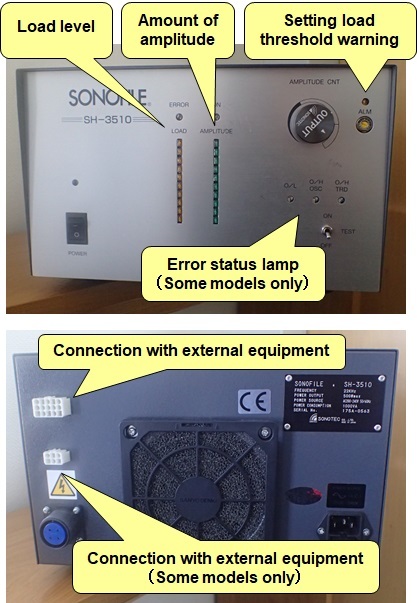 When an external load exceeding the power that the oscillator can supply is applied, it stops due to an overload error. Therefore, when the external load is large, an oscillator with a larger output is required. The resonance frequency of the oscillator changes slightly due to a strong external load (cutting resistance) or a change in temperature as it is weak against external loads. 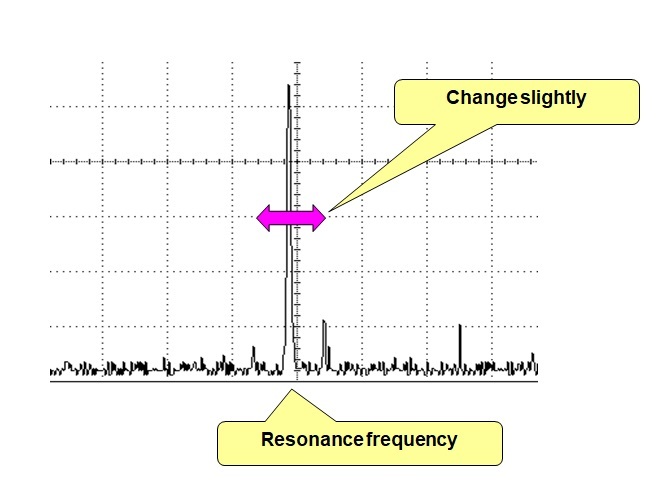 When the frequency output by the oscillator deviates from the resonance frequency of the transducer, its amplitude sharply decreases because the transducer is no longer in the state of resonance. The oscillator automatically controls the frequency of the output power so as to follow the slight change, and constantly keeps accurate resonance. Please send your sample. After the test cut is completed, you will receive a video and data taken during the cutting process along with the sample cuts. Do you have any troubles about Ultrasonic cutters or polishers?